When a business or building owner succeeds with revitalizing a traditional storefront, the benefits to a neighborhood retail district can be immense, ranging from visual appeal to economic impact to community pride. The Storefront Renovation 101 workshop takes place on Thursday, Oct. 6. LakewoodAlive is pleased to partner with the City of Lakewood to host a Storefront Renovation 101 workshop on Thursday, Oct. 6, from 7 to 9 p.m. at Mahall’s (13200 Madison Avenue in Lakewood). This free workshop for businesses and building owners aims to educate attendees regarding programs and resources available to assist with the storefront renovation process in Lakewood. 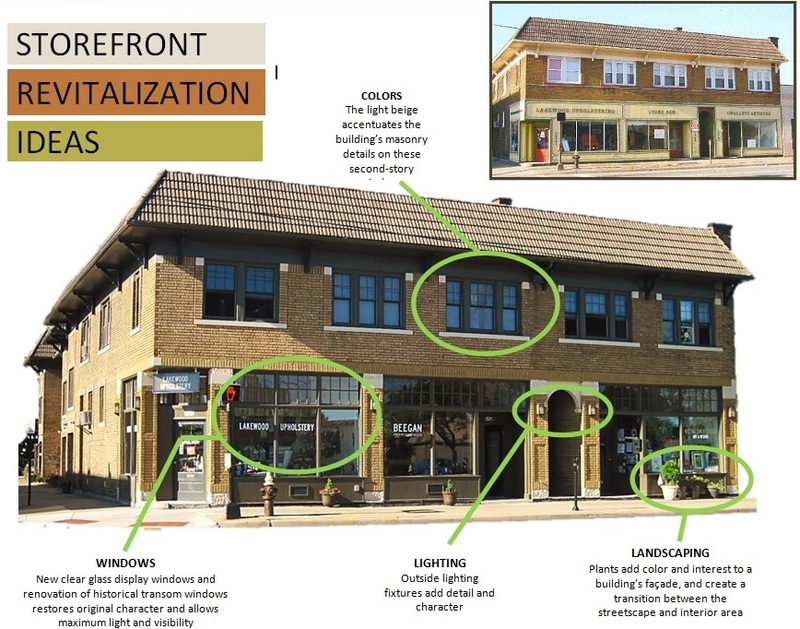 The Storefront Renovation 101 workshop seeks to discuss the renovation process from start to finish, affording attendees an honest assessment in order to further businesses and building owners’ understanding of the programs available in Lakewood. Key players with varying roles and perspectives on storefront renovation will offer insight into the process. This free workshop is intendedly solely for businesses and building owners. A cash bar will be available at Mahall’s. For more information, please contact Allison at aurbanek@lakewoodalive.org or 216-521-0655.